I wanted more out of this week than ‘just’ running, and I made this happen. Monday was my easy day, a bit of a cycle commute to and from work, but with a twist….I went to the pool and swam a kilometre before getting a relieving sports massage for 40 minutes that I’d managed to get for a steal on Groupon with KTJ. I did my usual cycle and run commutes (well only 2 run commutes) and managed to get to Bioticfit on Tuesday and Wednesday nights. Tuesday was supposed to be get started fit, which I thought would be perfect after my mileage on the weekend, but it certainly didn’t feel like getting started, got walloped as usual! And I went back for more on Wednesday night, this time trying out one of the newer venues at Crossford Bridge Park in Sale. 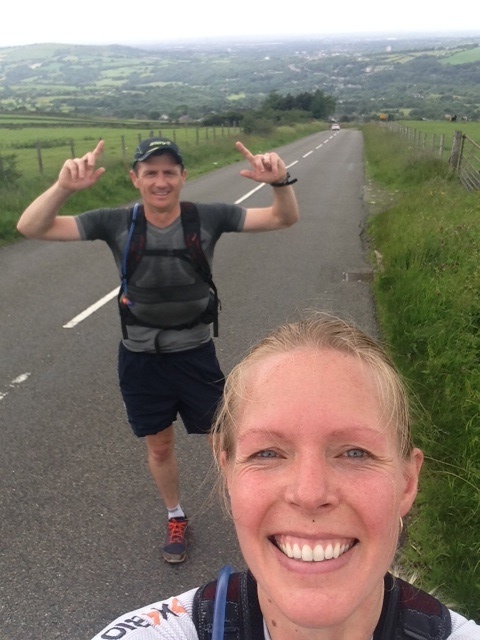 Lucky for Gillian Haworth that I turned up as it was just the two of us, so PT Kev put us through some serious paces, including bear crawls, scorpion walks, sprint drills and planks galore to name a few. I was seriously shattered at the end of that! My hubby and I had a great visit to Race kit, an ultra running gear shop in Matlock on Thursday, spending as mall fortune but all necessary for the Kalahari. Andy was so informative and an absolute wealth of knowledge with great advice and recommendations. we walked away with some great kit, Raidlight backpacks, X-Bionic tops (& shorts for hubby), head torches, sleeping bag liners, water bottles and sleeping mats. The plan was then for us to run with our new running packs to Kidsgrove, stay the night & run back…..but the weather was shocking, chucking it down, and we backed out at the last minute. Didn’t want to ruin our bags after all! Ended up with a bit of a naughty night at home, enjoying a few beverages too many. 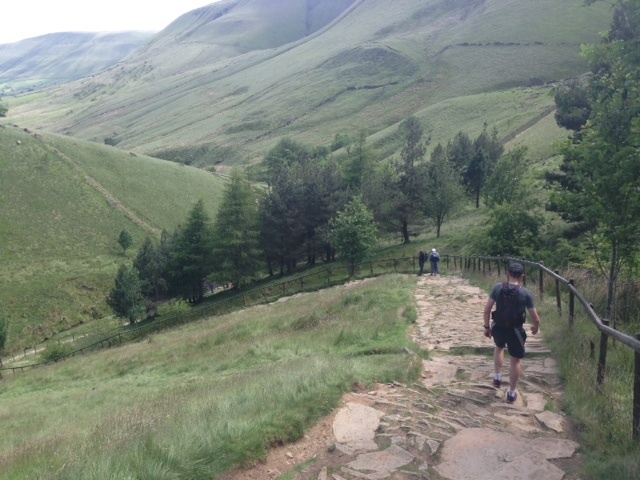 This change of plan then meant I was in charge of a route on Saturday, so I had been wanting to test out the Trans Pennine Trail to Edale, so what better time than now. Leaving Didsbury we headed off to Reddish Vale and joined the TPT from there, taking us up to Broadbottom and Charlesworth before cutting through the Peak District up on Kinder, down via Jacobs Ladder into Edale. 633m climb along the way amongst others, along with varied terrain of sand, rocks, slate rocks, mud, boulders and grass made for a tough yet rewarding run. The views were spectacular and we had an awesome day out. We made it to Edale 2mins before the next train to Manchester so that was perfect timing. We made the mileage up to 34 by running the last 5 miles home, as it was only 29 to Edale. That was tough to get running again after 40 mins on the train, but all good training in the bank of pain! A tasty treat of fish & chips finished off a great day out. Is it a bird, a plane…..no it’s me taking off at Kinder. 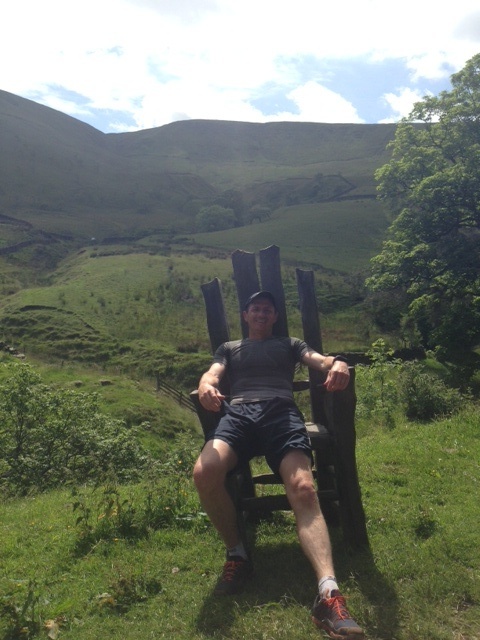 Taking a load off in the Giants chair just before Edale. 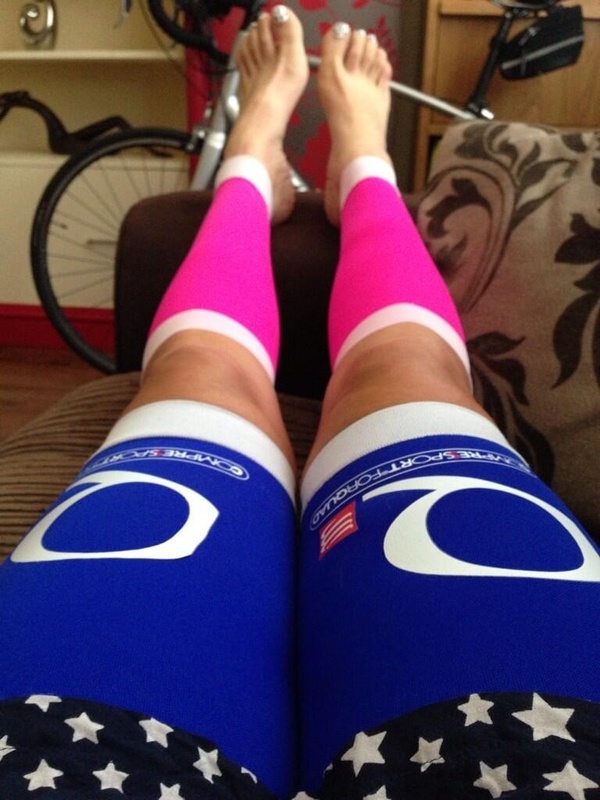 A ‘recovery’ ride on Sunday of 55 miles out to Warrington finished off a massive week of training, resulting in Sunday evening sat with my feet up on the couch in my compression gear!